After a year of absence, the international tournament Quartier Ouest is proud to come back, for its 11th edition. 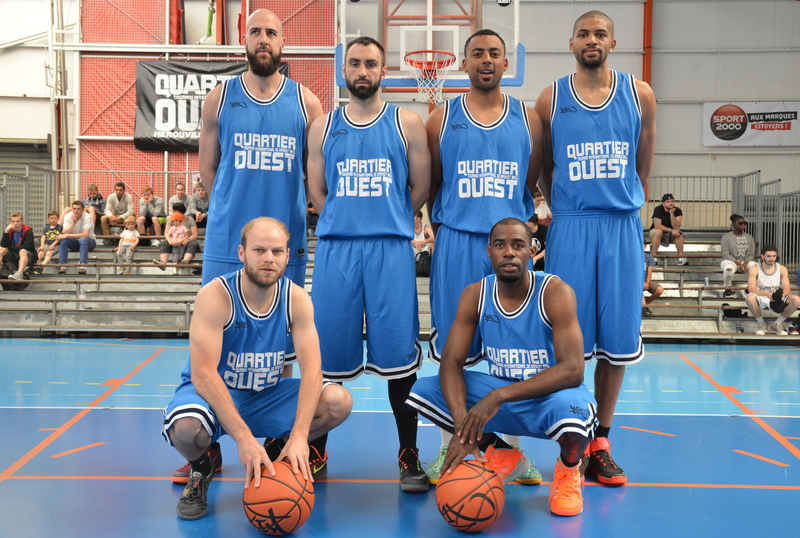 The QUARTIER OUEST association, which used to be called B Ball State, and find its roots in the city of Hérouville Saint-Clair, Normandy, will organize the 11th edition of its international tournament, the Quartier Ouest, during June the 16th and 17th of 2018. 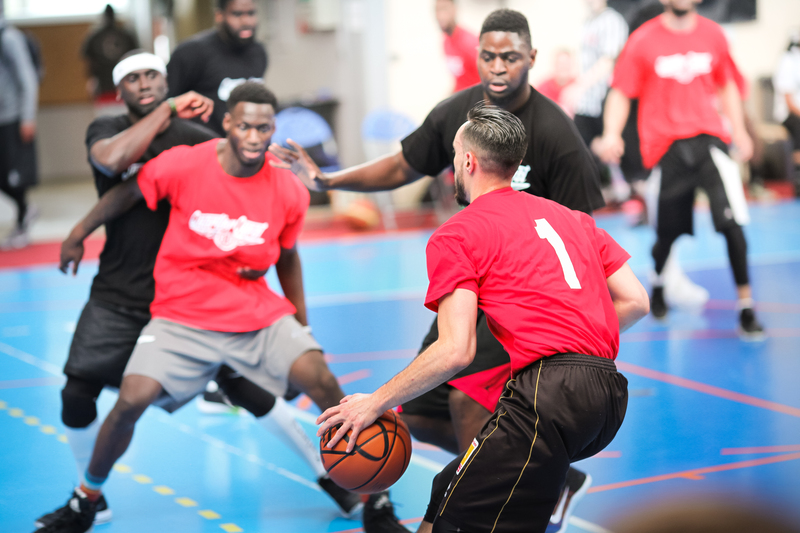 This tournament, which was first launched in 2007, has proved himself as a reference among national and international basketball events. The benefits from this tournament will help funding upcoming events, and strengthen our partnership with the cameroonian association AC BAMBAT, by bringing them material, financial and logistical support. When everything began, there were 10 teams in competition, with only men athletes. International teams were already part of the show. There was the Globe Trotta Records, coming straight from Los Angeles and led by the R&B singer Humphrey. But you could also watch the Hoopz Starz team, who travelled all the way here from Hungary. Amateur players from Normandy were also present, and so was this french professional Basketball Player called Gaétan Plateau, who played at that time for the ALM Evreux club, in the national championship named PRO B. Finally, we could also watch the presence of the MAGIC FREESTYLE CREW from Bruxelles, who were ready for a Freestyle Basketball exhibition, and also for a charity game. 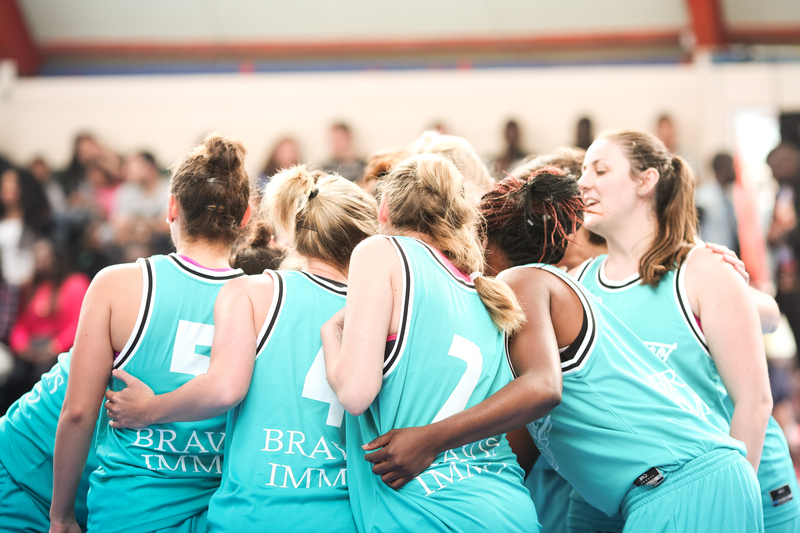 This year introduced Women teams and their own tournament. It’s also the first time we could see playing Nicolas BATUM, a french basketball player who still compete overseas in the NBA league. This Edition brought many players from the PRO A national championship, such as Adrien Moerman(Nancy), Paul Lacombe(ASVEL), Gedeon Pitard(Le Havre) or also Ousman Camara(Le Havre). The most exciting edition of the Quartier Ouest since its existence, concerning the men tournament. There were teams such as the NEW DRAFT, with Camille Eleka and Nicolas Batum, the OLD SCHOOL team with players like Modibo Niakate and Sambou Traore, or also a team made in extremis, with georgi Joseph and Tony Ramphort. Also, 3 points shootout and dunk contests were part of the show. The winner of this year’s dunk contest was Nianta Diarra(Le Havre). Finally, it was the first time for Pierre Salzman to join the staff as the tournament official speaker, and also the occasion to make and launch the first official video of this event. Now it’s women time to bring their best edition since the Quartier Ouest began. First of all, the JOJO TEAM with an international player called Ingrid Tanqueray(ASVEL). Then, the long awaited players from the DIKAI, with french athletes such as Kadidia Minte(Charlevilles) and Touty Gandega(Chartres). And finally, the SELF CONTROL team, with Aida Fall, and Diana Gandega, the elder sister of Touty from the Chartres team. Nicolas Batum came back for its third presence, after losing the tournament finals in 2013. This time, he won the title and earned the MVP award. This year, the tournament had reached the next level. For its 10 years of existence, it was awesome! You could see the presence of a Barber Shop called Afro Corner Cut, the arrival of one of the best european dunkers known as Joel Henry, Freestyle Basketball Session with Spinboy, and also dancers.